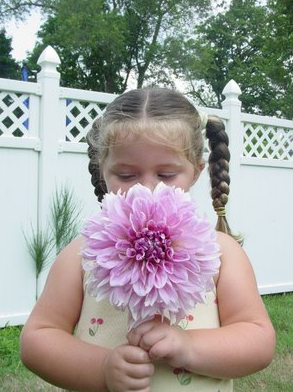 The dahlia is a beautiful flower and has such a range in size. I have seen some as small as a golf ball and as large as a dinner plate. I found this cutie on a great blog about gardening. This little girl reminds me of myself when I was younger but I would have been holding a rose from my mothers garden. Here they are in white in a yummy bouquet I did at The Royal Palms this October. 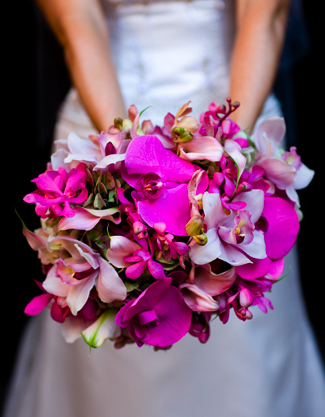 I mixed them with purple hydrangea, deep plum miniature calla lilies and rhinestone-studded stephanotis. 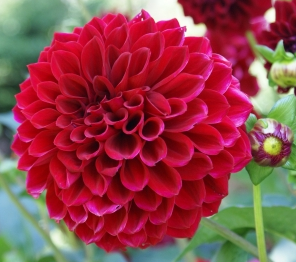 The dahlia is named after Swedish (go Swedes) 18th century botanist Anders Dahl. They are native to Mexico, Central America and Columbia and have 36 different species. Thanks for checkin in on my Floral Friday. 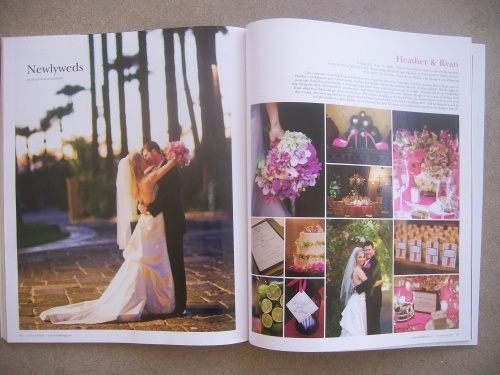 One of the fun things about being in the wedding flower biz is being recognized in publications. 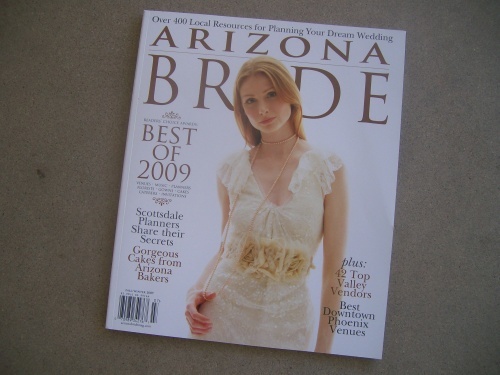 White Poppy has been featured in the latest issue of Arizona Bride magazine. This wedding was an absolute blast to do! It was at one of my favorite locations- The Royal Palms Resort here in Phoenix. 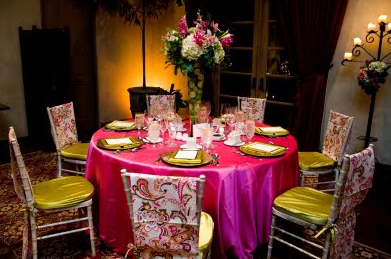 I collaborated with the ever-so-fun and fabulous wedding coordinator Cicely of Life Design Event Planning. 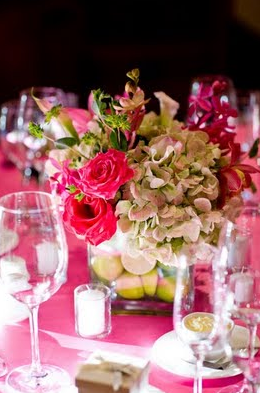 The brides color scheme was hot pink and bright green, her flowers were a mixture of orchids, miniature calla lilies, hydrangea and roses. We chose to put cut limes inside her glass centerpieces. 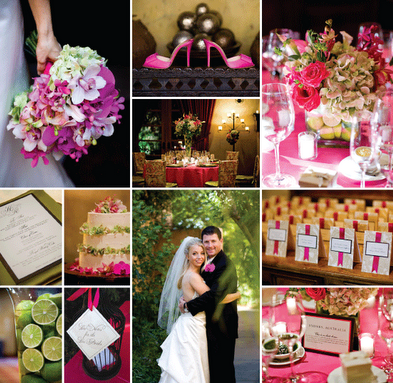 The fabulous photographer that worked on this wedding was Rebecca of Rebecca Bouck Photography. She was so professional and the pictures turned out amazing. 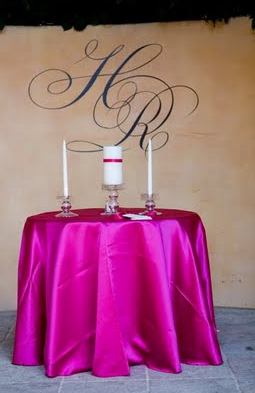 Check out this beautiful monogram custom designed for them by Wonderful Graffiti. Thanks for stopping by and listening to me brag!